Sleep disturbance—attributable to pain—is a major issue for osteoarthritis patients. Many osteoarthritis patients have problems with sleep onset, sleep maintenance, or early waking. To cope with all of these problems, osteoarthritis pain must be well-managed. Most osteoarthritis patients receive some form of treatment, but in too many cases, they don't get adequate pain relief. Study results have shown that of more than 3,100 osteoarthritis patients, 25% reported dissatisfaction with their pain medication. Of the dissatisfied group, 63% reported inadequate pain relief while 17% reported side effects. For chronic pain patients, it's best to take pain medications on a schedule. The goal of a routine pain medication schedule is to take the next dose of pain medication before the previous dose wears off. The problem is, for a variety of reasons, many osteoarthritis patients do not take pain medications on a schedule, and they do allow pain to return—then they chase pain with another dose. Long-acting or extended-release pain medications could work better for patients who find it difficult to stick to a schedule. The Menu of Analgesics - Which Should You Choose? Newly-diagnosed osteoarthritis patients usually try acetaminophen—it's recognized as the first-line analgesic for mild to moderate osteoarthritis. NSAIDs (nonsteroidal anti-inflammatory drugs) and COX-2 inhibitors are also used to control osteoarthritis pain, especially if you need more relief than acetaminophen provides. For more severe pain, physicians consider nonscheduled opioid analgesics such as tramadol and scheduled opioid analgesics (controlled substances). What's an Optimal Pain Medication? An optimal pain medication would be well-tolerated, convenient, and provide around-the-clock pain relief. It would have less abuse potential as well as a minimal chance for side effects and toxicity with long-term use. Are extended-release (ER) opioid analgesics optimal pain medications? For some patients, yes. But patients using ER opioid analgesics must be aware of potential adverse events and must only use the drugs as prescribed. ER morphine, ER oxymorphone, CR (controlled release) oxycodone, ER transdermal fentanyl, and ER tramadol are among the extended-release opioid analgesics that can be considered to relieve osteoarthritis pain. 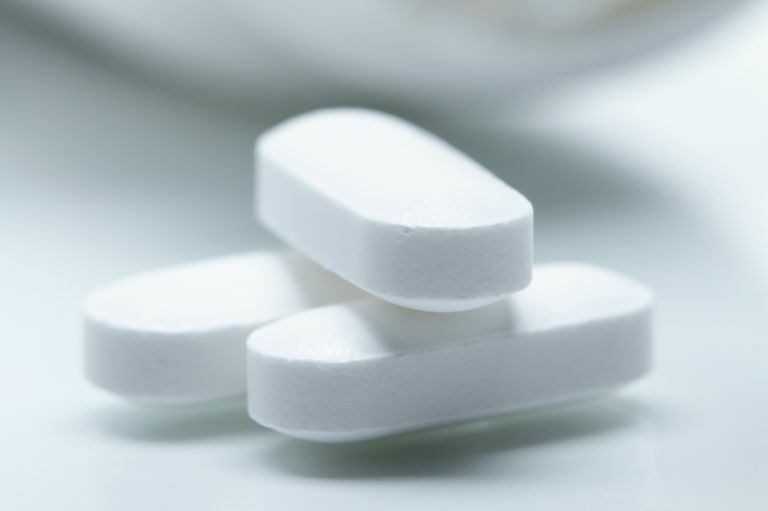 Researchers have concluded that once acetaminophen and NSAIDs are no longer effective, or osteoarthritis is worsening—ER tramadol may be the next best option—before trying scheduled, opioid analgesics. ER tramadol has some advantages over other ER opioid analgesics. For one thing, tramadol results in fewer side effects than other opioids. Concerns over drug abuse, addiction, tolerance, and withdrawal are common for opioid analgesics. Opioid analgesics (including ER opioid analgesics) can cause problems with sedation, confusion, and constipation, especially in older patients. As with any medication, patients must have a conversation with their doctor about the benefits versus risks of taking ER opioid analgesics. While there is a need for opioid analgesics in certain patients who have not responded well or stopped responding to acetaminophen, NSAIDs, and tramadol—opioid analgesics are not appropriate for every patient. ER morphine is indicated for the treatment of moderate to severe chronic pain in certain osteoarthritis patients. The goal of taking this drug is around the clock pain relief and significant improvement in quality of life. ER oxymorphone was rated as excellent, very good, or good by about 80% of patients in a study. It provided effective pain relief and functional improvement in patients with chronic osteoarthritis pain. CR oxycodone is effective in reducing pain caused by osteoarthritis and improving quality of life. However, oxycodone is the drug that is often in the new regarding drug abuse cases. ER transdermal fentanyl should only be used by patients who are already receiving opioid treatment and have demonstrated opioid tolerance. It is effective for relieving moderate to severe osteoarthritis pain. You shouldn't have to live with unrelenting pain. Discuss pain management with your doctor and don't forget to ask about extended release versions of opioid analgesics. They are not the best treatment option for every patient—but are they a treatment option for you?